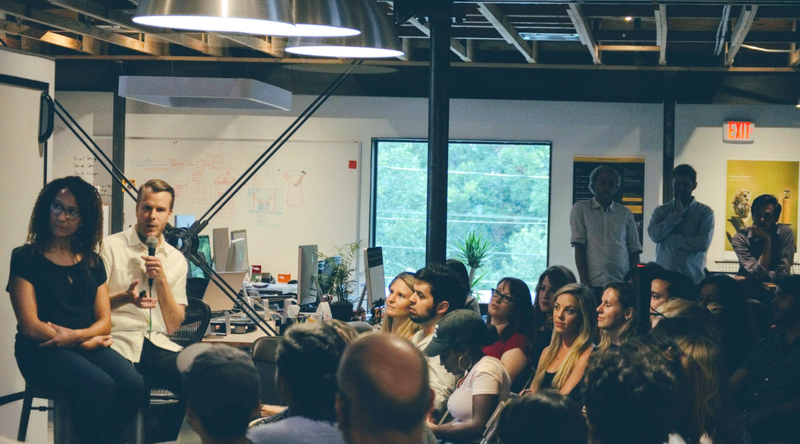 We closed the UX For New Tech arch of AIGA Small Talks last week at argodesign with an all-time record turn out. 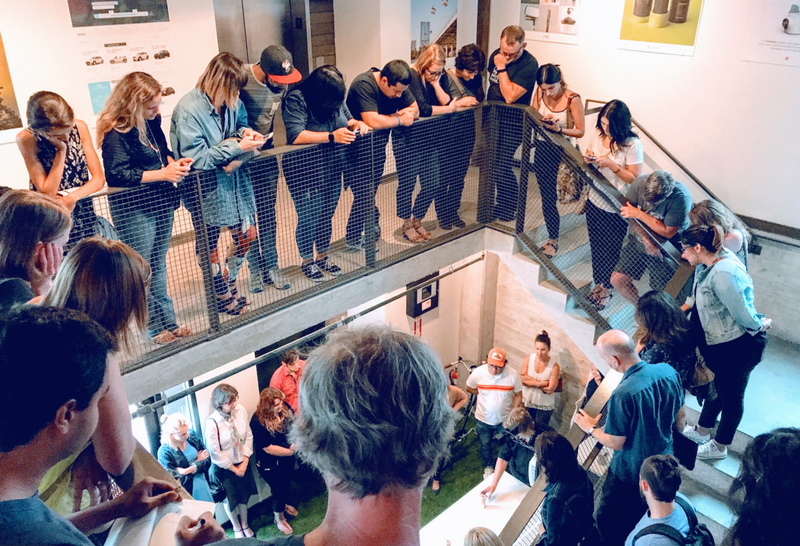 Thank you all who came out, both AIGA members and non-members alike, your curiosity and interest made this event a complete success. In this year’s arch I sought to trace a high-level overview of new and future technologies as we explored design outside of the confines of screens and traditional media. Jared Ficklin Showcasing an Integrate Reality Interactive Installation. To close, Jared Ficklin — Chief Creative Technologies, gave us an overview of the MetaMe, explaining the differences between the physical and digital versions of ourselves. The team at argodesign kindly collected a series of resources mentioned at the event, you can find them here. 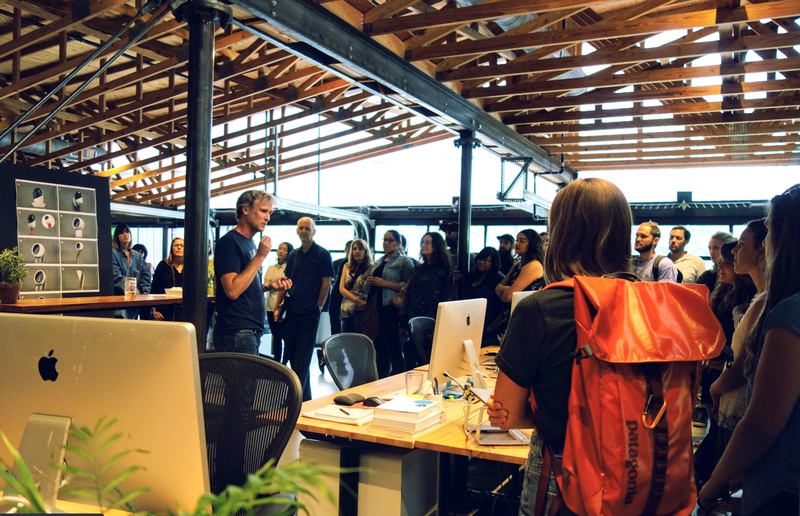 I would like to take this opportunity to express my gratitude to everyone at argodesign, specially Andrea Lindzey and Melissa Segura for helping coordinate this event. For the next cycle starting in December, I’m toying with the idea of shifting the focus of this series, and would love to hear what your thoughts are on “UX & UI Job Titles/Hiring Process/Career Journey untanglement discussion”, “Design Ethics: We Can Build It, Should We?” or a new format of educational workshop: “… UX Software Overview”. Please reach out to me via twitter or linkedin to cast your vote and share ideas.